At the recent Senate budget hearing for the Department of Agriculture (DA), Sec. Emmanuel Piñol revealed that Filipino consumption of meat more than doubled. Meat consumption of the country's 105 million population increased from 15 kilos per capita to 35 kilos per capita. With such increase, Piñol noted that the Philippines' cattle inventory of 2.5 million is not enough to feed the meat-loving Filipinos. Considering the increasing demand for meat, Senator Cynthia Villar proposed that focus should be shifted to the raising of native animals. Native animals are easier to raise because they are cheaper to feed and are more adapted to the country's climate. Villar said, "We should turn to native animals to help us feed the growing population. We have seen problems raising imported cows; our climate is changing and these animals cannot adapt. Whereas iyong ating native animals kayang-kaya nila ang climate change dito sa Pilipinas." Senator Villar should know what she's talking about. She has already filed Senate Bill. No. 144 called the "Philippine Native Animal Development Act of 2016", which pushes for the scientific processing and development of the country's native animals. The bill also proposes the creation of a new agency named the Philippine Native Animal Development Center to carry out such tasks. Further, Senate Bill 144 seeks to have a Native Animal Regional Center for each region in the country. 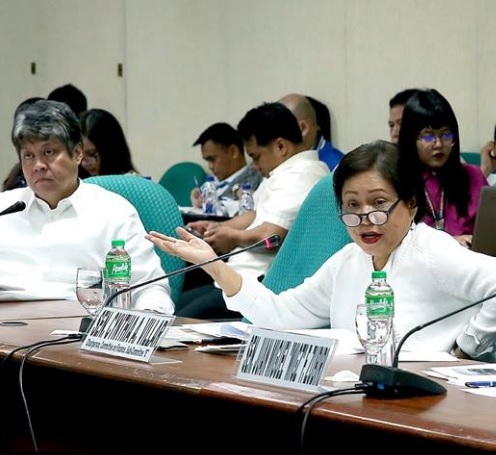 Senator Villar is the Vice Chairperson of the Committee on Agriculture and Food which is headed by Senator Francisco "Kiko" Pangilinan.